We can photograph your property, objects, artwork, your family, hobbies, or events except weddings, the way you want it. Our standard fee for a custom shoot is $75, which includes the digital images, and 2-3 hours of shooting. If you need more time we can quote a prince by the hour. You decide what you want us to photograph and we will do that almost any way you desire. Any digital photos resulting from the session are included. Note that prints, albums, etc. and not included and will be priced separately. Examples of projects we have worked on for clients are shown here. In respect of the owners' privacy we have not provided names, locations, etc. More examples are under Custom Photography on the Navigation bar (above). Some people like to have a custom photograph made of themselves at a specific location of their choice, to be used to make photo Christmas Cards so they can send them to friends and relatives. Some of our clients have been coming to us for several years for this service. We have not included examples to protect their privacy. We charge a session fee of $75, which includes digital images that the clients use to have the cards made. We can also make them for an additional charge, or provide prints. The same process can be used to obtain photos for custom calendars, etc. 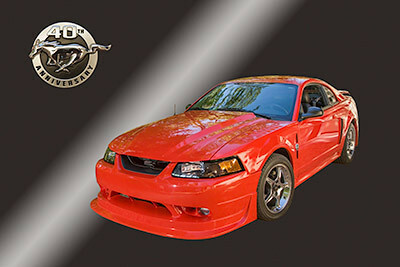 See CUSTOM PHOTOGRAPHY on the Nav Bar for more details on Custom Photography. Restored classic cars were photographed at the owner's garage, then the cars were placed in artificial backgrounds designed by Allinda Photography to be used with the specific car image. The composited images were then printed and framed to be hung in the garage, which housed several cars. An old church had a Tiffany stained glass window restored by Tiffany, and wanted good photographs that would show all the details and colors accurately. 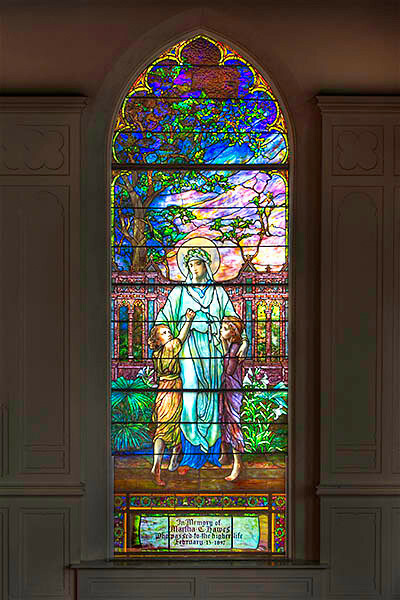 We went to the church and photographed the window using HDR techniques to record all the colors in one photograph. Then we made prints for display and to be used in brochures. Custom Photography also includes types of projects we have not done yet. We love a challenge, and will be glad to tackle most anything within reason. Our specialties are landscape, High Dynamic Range (HDR) scenes, panoramic images, architectural photography, nature, wildlife, pets, and people. Check out our website for more examples of what we do.